Are you looking for a delicious vegan starter that is both easy and impressive-looking, this is it. 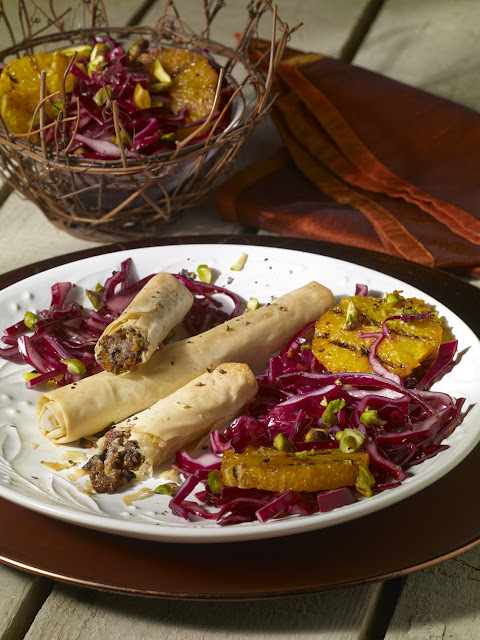 Combining tons of festive flavour with dates, pistachios, red cabbage and oranges, it tastes and looks amazing too. Enjoy! 6. Repeat to make 8 'cigars'. Bake for 15-20 minutes until crisp and golden, transfer to rack to cool. That looks fabulous; wonderful flavours, and perfect for a party. This looks so tasty, I just love cabbage! 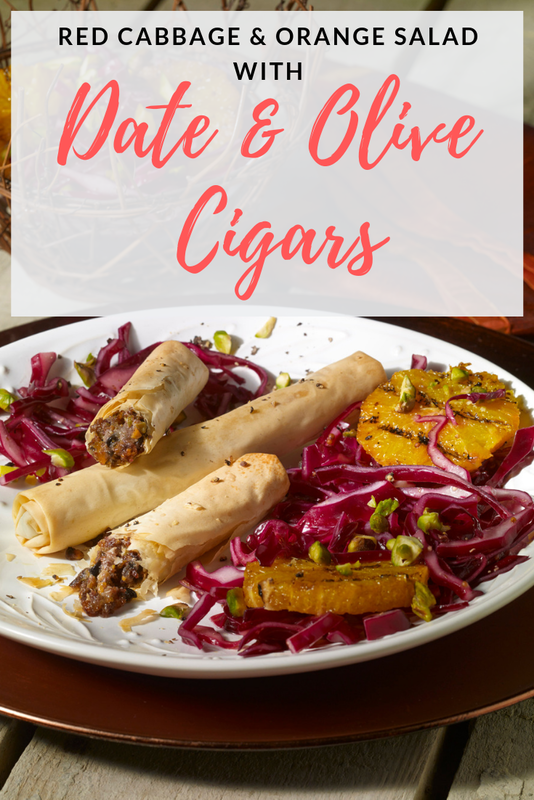 A fascinating combination of ingredients for the cigars. I haven't used filo for ages; it's a versatile product. I intend to try the red cabbage, orange and pistachio salad first as we eat lots of salads and enjoy the delicious colours and textures. That looks delicious... So fresh and healthy too!